Two more high profile guests are coming to Star Wars Celebration next month in Orlando, Florida. 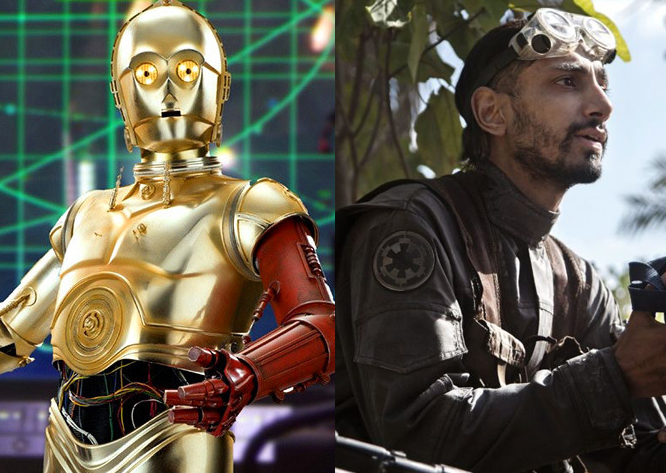 The Star Wars Show announced today that Rogue One: A Star Wars Story star Riz Ahmed (Bodhi Rook) and, C-3PO himself, Anthony Daniels will be in attendance at Celebration. They will be signing autographs for fans in the autograph hall. Daniels, who is veteran of every Celebration to date, will also perform a one man show for fans in attendance. This will be Ahmed's second Celebration, with his first coming last year in London. He is the third member of the Rogue One cast announced to be coming to Celebration. Joining him in Orlando from Rogue One will be Felicity Jones (Jyn Erso) and Alan Tudyk (K-2SO). Other guests previously announced include Star Wars Rebels stars Vanessa Marshall (Hera Syndulla) and Taylor Gray (Ezra Bridger), and legends of the saga Billy Dee Williams (Lando Calrissian) and Ian McDiarmid (Palpatine). Star Wars Celebration takes place from April 13th-16th in Orlando, Florida. Tickets are still available. I would like to personally congratulate you as your Star Wars Underworld has been selected by our panelist as one of the Top 30 Star Wars Blogs on the web. I personally give you a high-five and want to thank you for your contribution to this world. This is the most comprehensive list of Top 30 Star Wars Blogs on the internet and I’m honored to have you as part of this!